Situated on the northern tip of the Danish peninsula, the port city of Frederikshavn is traditionally known as an important gateway between Denmark and the rest of Scandinavia, but more recently the city has also become an important driving force for Denmark’s vision of achieving complete independence from fossil fuels by 2050. In December 2014, Frederikshavn adopted a Master Plan to pave the way towards becoming a 100% renewable energy city by 2030. 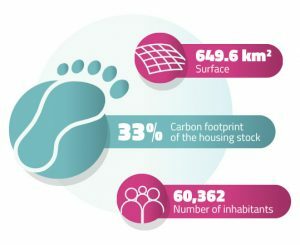 The key measures necessary to achieve this objective are the reduction of energy consumption and ensuring increased energy efficiency across sectors, whereby energy consumption in the residential sector represents a particular priority, as the housing stock accounts for 33% of Frederikshavn’s CO2 emissions. Understanding the potential that retrofits of residential buildings represent for the city’s energy savings – possible reductions in consumption of heating alone are estimated between 13–75% depending on the scale of renovation – Frederikshavn Municipality has developed collaborations with both banks and local companies providing their citizens with financing tools and advice which encourages them to undertake energy efficiency renovations in their homes. Notably, the city cooperates with the local supply company Forsyningen, whose energy advisors give homeowners access to free energy advice before initiating the renovation, and with the organisation BetterHome, composed of four Danish companies, which offers differentiated retrofit packages in accordance with the homeowner’s ambition and financial abilities. 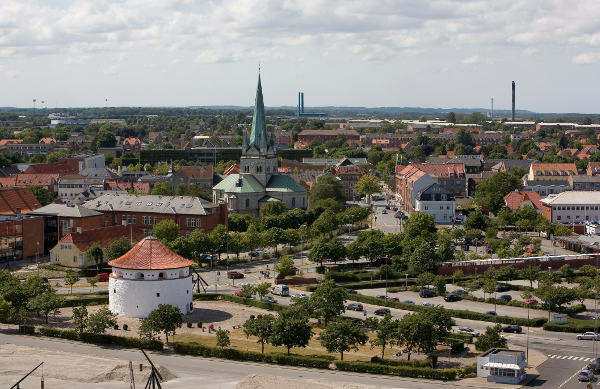 By establishing cooperation with local banks, Frederikshavn has raised awareness about the benefits of energy renovations among customer advisors who can produce tailor-made financial plan for homeowners. Furthermore, the municipality has persuaded several banks to develop specific loans for energy conversion with reduced interest rates and longer maturity compared to standard market conditions. Through the competition between the eight local branches of Danish national banks with which the city collaborated (Nord Jyske Bank, Jyske Bank, Spar Nord Bank, COOP Bank, Danske Bank, Sparekassen Vendsyssel, Nykredit Bank and Arbejdernes Landsbank), loan terms for customers have improved spontaneously. Frederikshavn Municipality could persuade these banks to enter into such a cooperation, by making them aware of how the new loan type for energy conversion would develop a new business area for both themselves and their customers, while simultaneously creating jobs and growth in the local economy. In addition, the banks can now mobilize homeowners’ passive capital in times of financial stagnation. Through its rich experience in setting up the described network facilitating energy refurbishments for private homeowners, Frederikshavn became aware of the gaps in its current approach, especially concerning the communication with citizens. It became clear that focusing exclusively on economic savings through energy savings when promoting retrofits, leads to the serious misunderstanding that an energy renovation should be able to pay for itself within only a few years – which is rarely the case, payback models show that it takes between 7 and 36 years to pay off the investment in energy savings. Therefore, if energy efficiency renovations cannot live up to this expectation, homeowners see no reason to implement them at all. For this reason, Frederikshavn is seeking to further improve its strategy through the INNOVATE project, by setting up a One-Stop-Shop service which combines energy refurbishments with other more visible or attractive renovations. 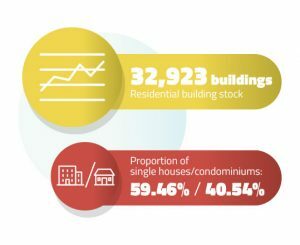 Under INNOVATE the municipality has set itself the goal to renovate 10 owner-occupied housing associations, equivalent to 100 residential units, and 20 private one-family houses, representing an estimated investment of EUR 11.1 million. The focus will be laid on homes built between 1960 and 1980, as the majority of Danish single-family houses were constructed during this period and their sheer number makes them one of the housing segments with the highest potential for energy savings. They present a good starting point for the project, as many of these homes are in need of renovation due to their age, so that energy refurbishments can easily be included into a more general renovation package. As a result of these considerations, the planned One-Stop-Shop in Frederikshavn will also offer other services in addition to energy refurbishments, including roof renovations, new kitchens and bathrooms, white goods such as refrigerators or washing machines, and even electric car sharing. The broader range of products offered by the One-Stop-Shop represents a holistic approach to promoting energy efficiency in the city and allows to combine ‘visible’ refurbishments with energy retrofits, which tend to be invisible and therefore less attractive to customers. The role of the municipality in this project is to develop the business plan for the One-Stop-Shop and to act as a facilitator who can persuade the different external actors to work together. This alliance between banks, supplier companies and the city is particularly important in regards to financing. Frederikshavn is seeking to develop diverse funding models for homeowners, where financing can be supplied either through common bank loans, loans offered by local suppliers or even through the customer’s own savings or bank connections. Allowing for this diversity enables homeowners to choose the financing model which they find most attractive and is most suitable for their financial situation.